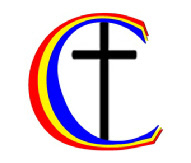 We have close links with a number of Pastors in Romania, and with Churches in the USA. Updates on these links will be posted soon. Some of our Youth Team are closely involved in work with the Scripture Union in the Waid. Details can be found in the Youth Fellowship & COZ pages. OPEN DOORS: We maintain close links with the Open Doors organisation which seeks to provide support and help to persecuted Christians and Churches worldwide, including our own country. Look at www.opendoorsuk.org/ for more detail. WYCLIFFE: We continue to support the work of Wycliffe, an organisation that aims to provide Bibles to people in their own languages. The visit on 7th September 2014 of Dennis and Elizabeth Schutte has revitalised our interest in Wycliffe and the 2025 Vision they hold. They have a huge task as over 300 million people around the world still do not have Bibles in their own languages. But with God’s unswerving help, there are now less than 2000 languages worldwide without bible translations, and the work continues unabated. By 2025, Wycliffe has a vision to have programmes in place to provide Bibles for all tribes and nations. Get more details from http://wycliffe.org.uk/ .